Traveling in the great wine regions of Europe is not only an exercise in enjoying fermented grape juice, but also the typical dishes of the region. 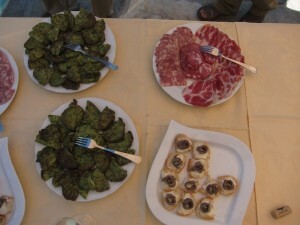 The fact is, as wine lovers, we are also food lovers and throughout Europe the two are tied together. It’s easy as Americans to forget the rather unreal diversity we have in all of our metropolitan areas back home. From sushi to pho, to steak houses and traditional Neapolitan pizzerias, to chain restaurants and hot new chef start ups we can find anything, anytime. Many would call the culinary diversity in America a wonderful thing, but others find it overwhelming. 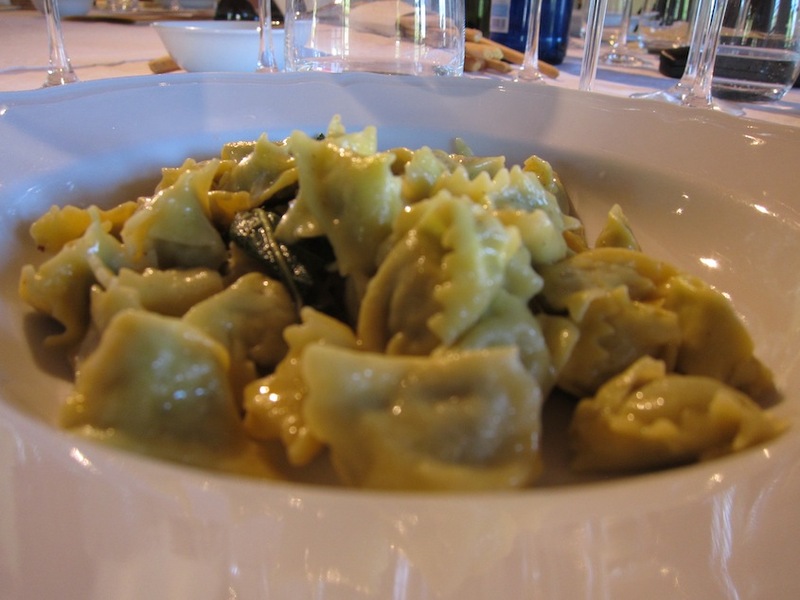 Traveling to areas like Piedmont allow a person to experience the regional cuisine of a very particular spot, and consistently try the wines of an area with the traditional foods they are intended for. 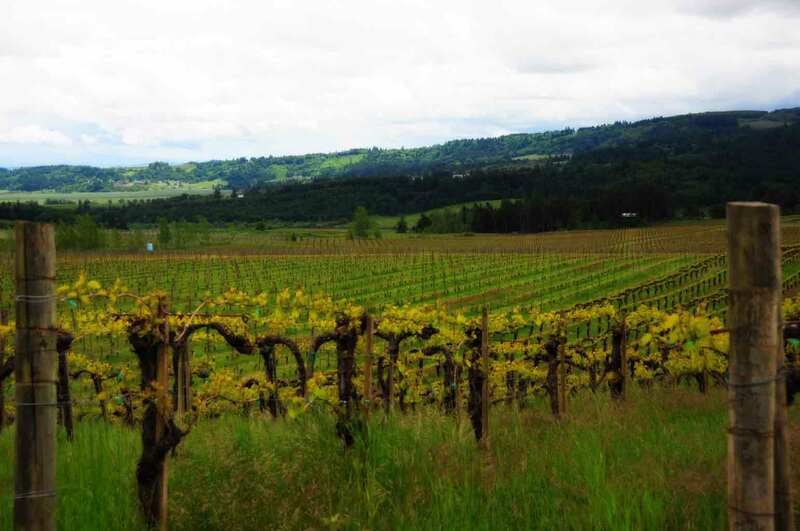 This is, hands down, the best way to learn about a wine culture. Piedmont is a region of game and hunting, as well as farming. 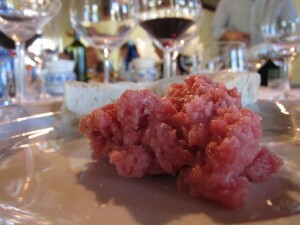 Historically, due to lack of refrigeration (but in the winter it can get very cold here), some of the best cuts of meat are served chopped and raw … think steak tartare with meats such as veal or tuna. When knife cut rather than ground, the richness of the fat of the meat is amplified, making for a tremendously delicious dish. Add a bit of lemon juice and olive oil and you’re good to go. Throughout PIedmont, this dish is often served with tuna (or ‘toro’). 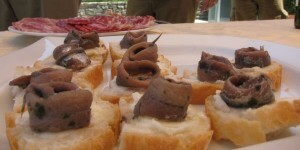 The tuna traditionally came from the coast south of Piedmont. The didn’t have great wines on the coast, and Piedmont had a lack of salt for preservation, so a symbionic relationship was formed. Since salt was being shipped to Piedmont, packing some tuna was a natural next step, hence you find tuna as part of the traditional foods of this land-locked region. Pretty cool. I don’t know the particular history of this dish, but you find it throughout Piedmont. Very simple: pasta with browned butter and sage. The ‘pinched’ ravioli is the traditional serving of the dish, but I’ve seen it done simply with a pile of linguine as well. Absolutely delicious with the traditional Barbera varietal. Again combining the traditional salt-packed seafood with the incredible butter to be found in Piedmont, this is a simple appetizer that will now become a regular in my household. Here’s the simple formula for great European travel: 1) never drink wines from outside of the region you are in, and 2) always enjoy an excessive amount of the local cheeses and cured meats. If you simply do these two things, you’ll have a cultural experience that will help form the memories of the trip and will amplify your experience.